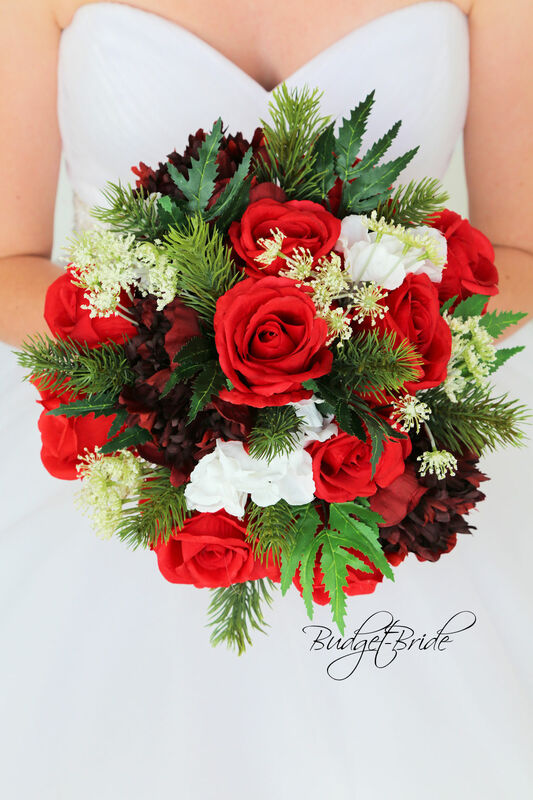 This matching bouquet is an 8 inch bouquet made with red roses, wine peonies, and white filler accented with winter foliage. 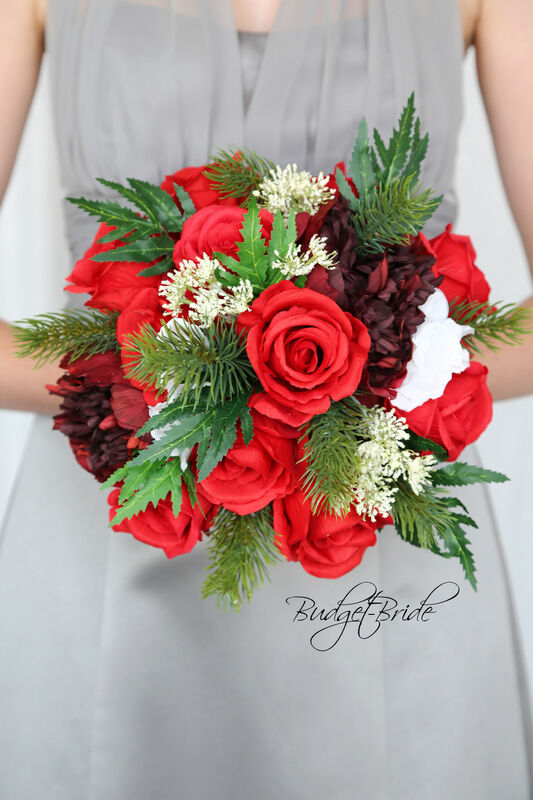 This matching bouquet is a 6 inch bouquet made with red roses, wine peonies, and white filler accented with winter foliage. 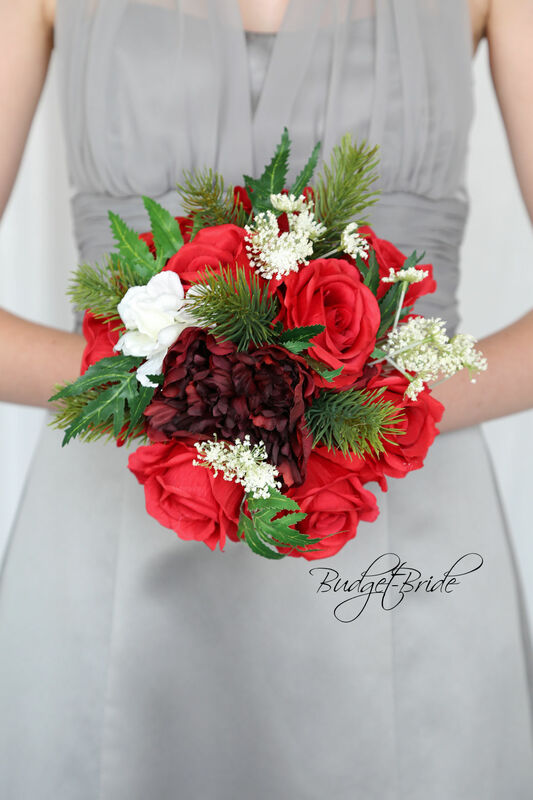 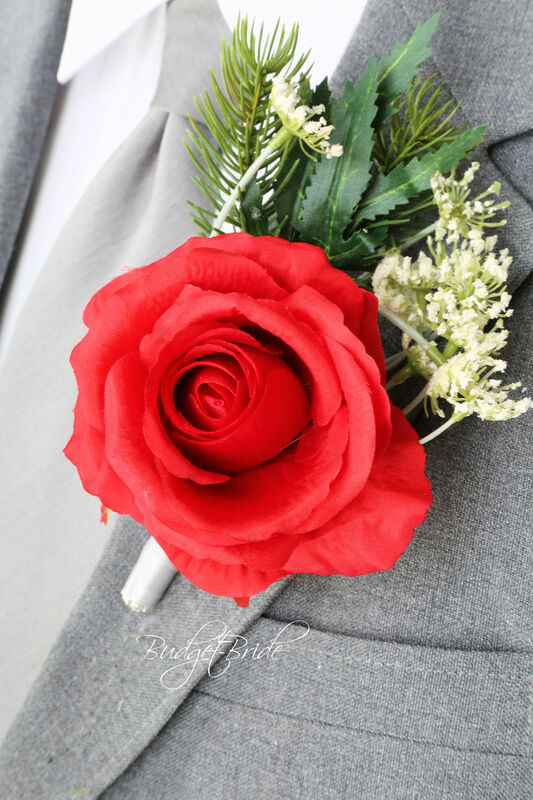 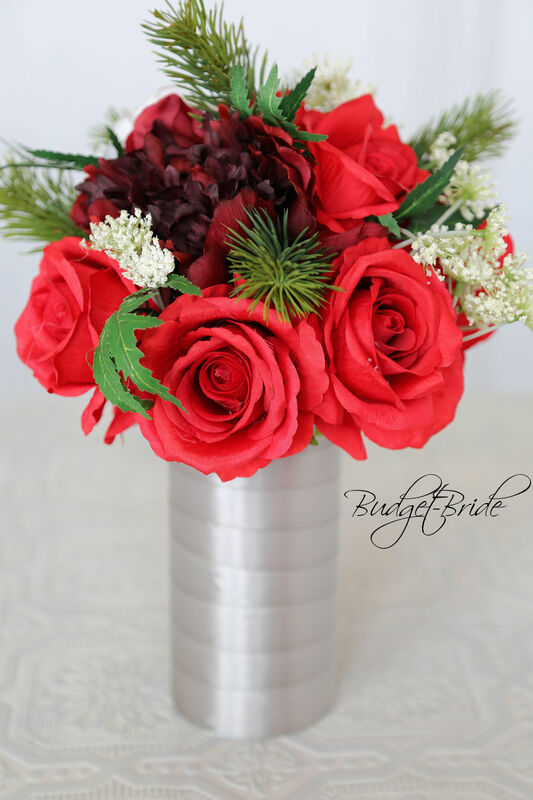 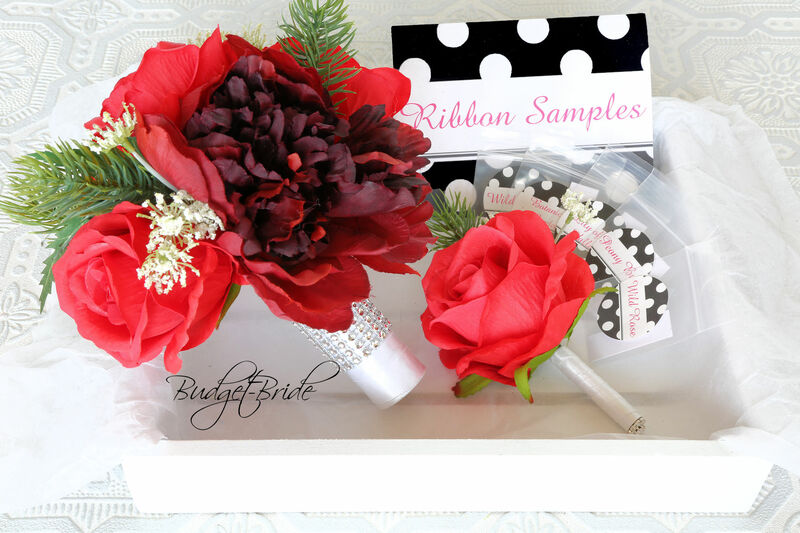 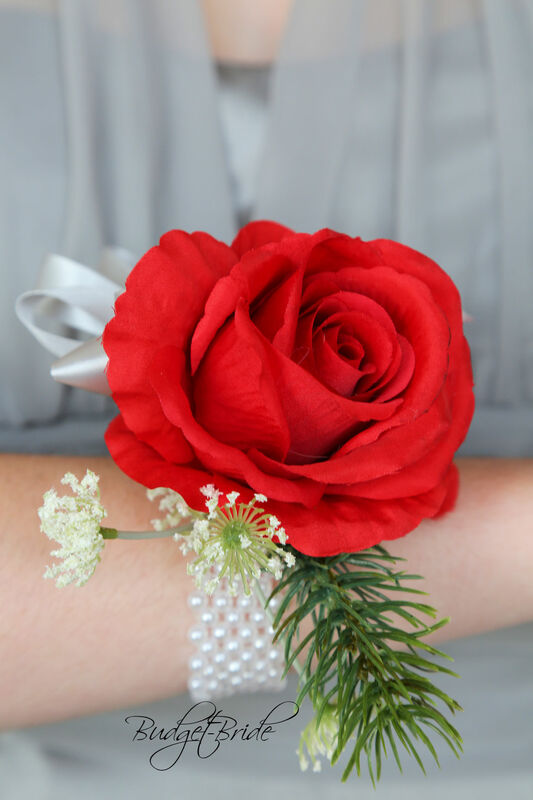 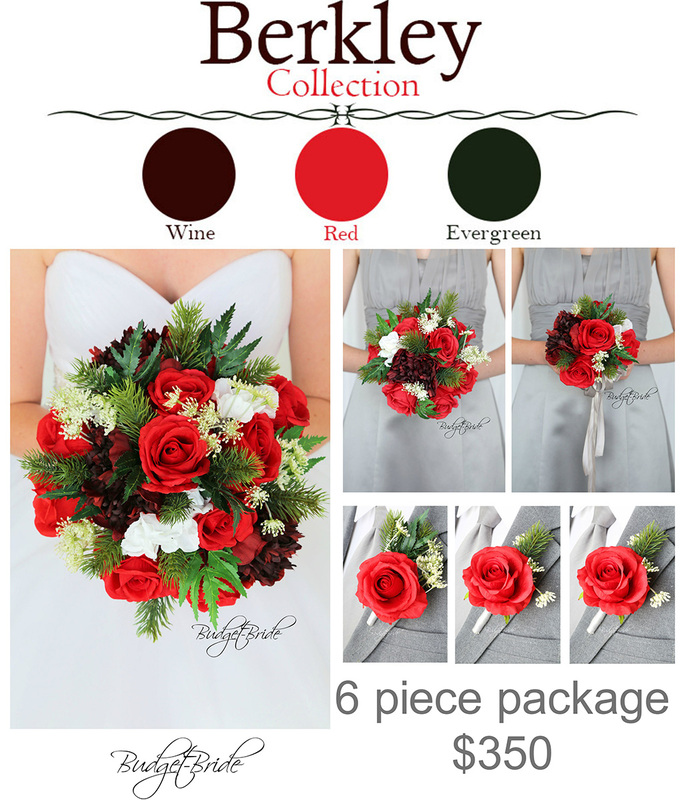 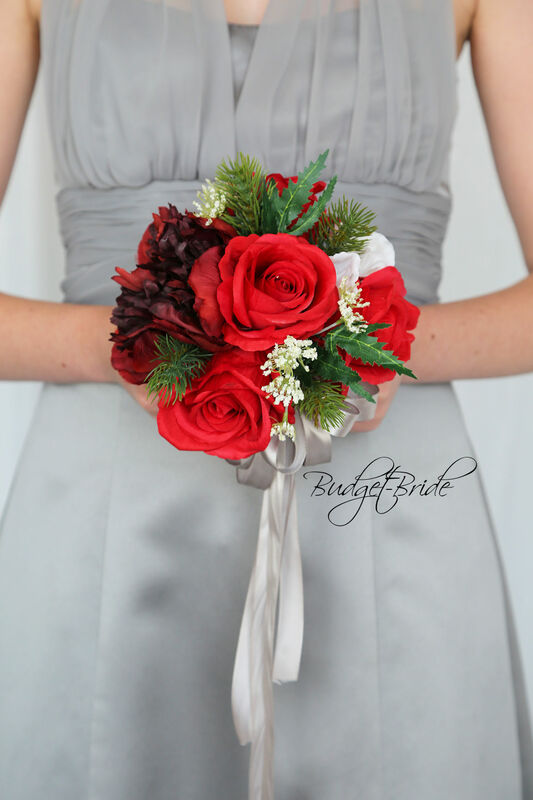 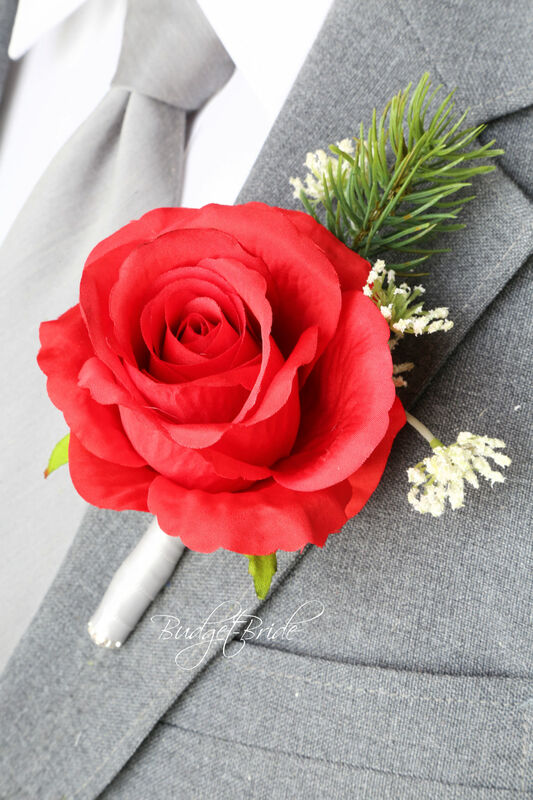 This matching bouquet is a 4 inch bouquet with red roses, wine peonies, and white filler accented with winter foliage.